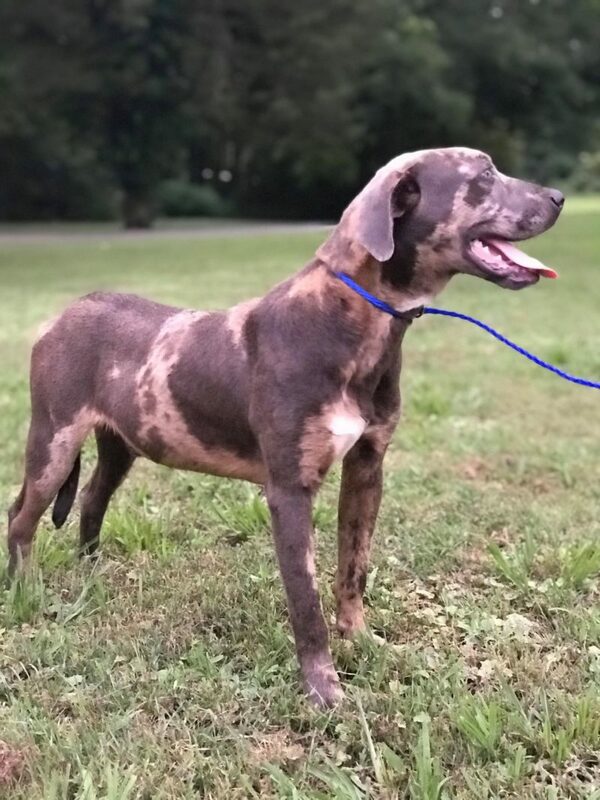 Chester is an approx two year old catahoula leopard dog/weimaraner mix who was found wandering as a stray. He is in need of some TLC to get his weight and coat in better shape but is certainly deserving of that love and effort! Chester is very sweet and personable. He is healthy and has been neutered and brought up to date on all vaccines and vet care. He is about 40 pounds and very CHILL. If you are looking for a unique one of a kind pup, Chester is your man!